With the approaching summer, the way to protect your hair from the harsh heat and give it some respite from all the styling is to get braids. Braids are a great way to get a change in your look and also get a low maintenance hairdo. 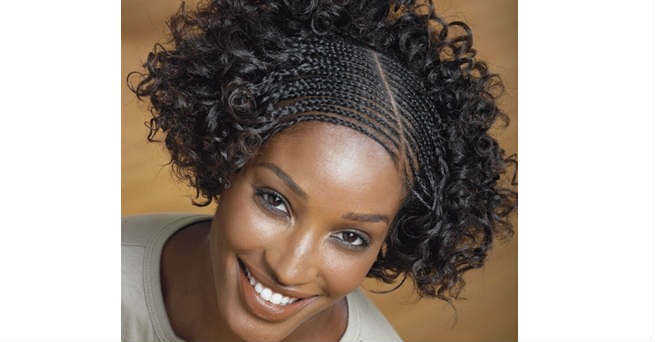 You can experiment with different kinds of braids, accessories and hair textures while trying braided black hairstyles. 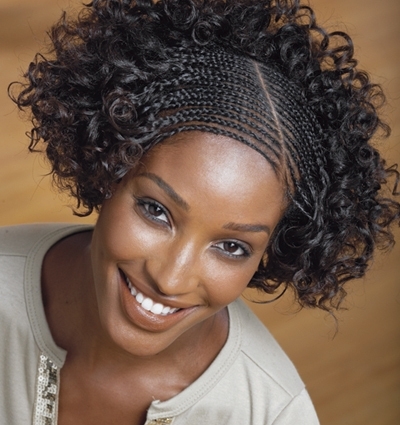 You can leverage your hair’s natural thickness to make beautiful braids. African American hair has been made for braids. Braided crowns, tangled braids, messy braids and symmetric braids have been doing rounds on the ramps and at celebrity sightings. We give you some of the hottest braided black hairstyles for 2014 that you simply must try. This is a surefire winner of a hairstyle. If you are not sure of going without your favorite curls, then this is the hairstyle to try. Braid the hair on the crown with an asymmetrical parting and leave the messy curls to flow at the ends of the braids to get the best of both worlds. This is an easy and versatile way to wear your braids. Pin some of them at the back of your head or let them all loose for a cascading braids look. Also, this is as low maintenance as it gets. You could even pull all your braids back into a high or a regular ponytail. This braided look is great if you want to keep a cool and casual look. Sleek braids on the sides that end in a mohawk like hairdo at the crown. The curls on the crown add nice drama to the hair which are perfectly complemented by the artistic braids on the sides. Wear this look with casual clothes and all your day outings for a low on maintenance yet fun look. This look nicely accentuates your jawline and neck. The hair is braided very close to the scalp to form raised rows that give the hair the appearance of corn rows. You can do these in straight lines or get creative and experiment with zig zag partitions with a snazzy end result. Braid your hair till the tips and then roll the braids at the top of the head in the form of a bun or an updo. The braids of the updo, perpendicular to the cornrows make for a striking hairstyle. Pin them in place using bobby pins and you are all set to go! Braid broader sections of your hair in parallel such that you have about half a dozen braids on your crown, starting at the forehead. Continue till the hair ends. Gather all the braids at the back into a single braid or you can twist it up into an updo. Accessorize the braids on the crown with beads or stones if you want a jazzy look. Else, simply use lots of cream on the face to keep your locks shining and try this simple and sophisticated look for an evening out.